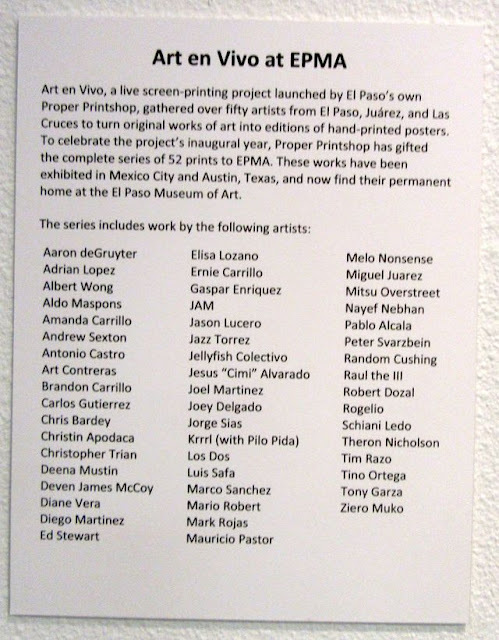 Proper Printshop of El Paso, donated all 52 prints they pulled last year in El Paso, during the "Art en Vivo" live printing events, to the El Paso Museum of Art. They had a live printing event at the El Paso Museum of Art during the Last Thursday Artwalk, June 29, 2017, 6 - 8 pm. 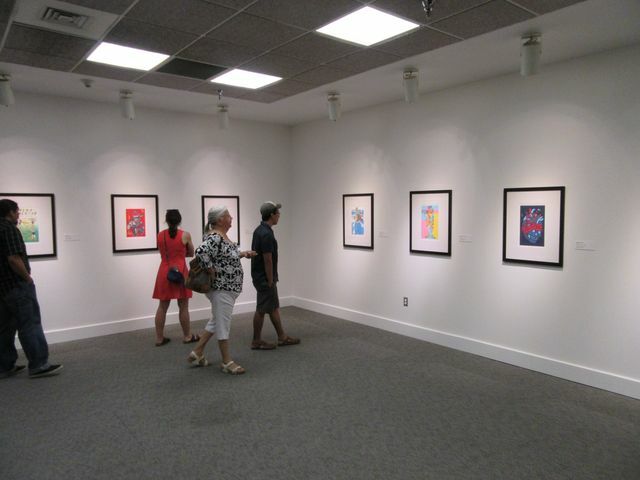 A selection of the framed "Art en Vivo" prints were also on display. 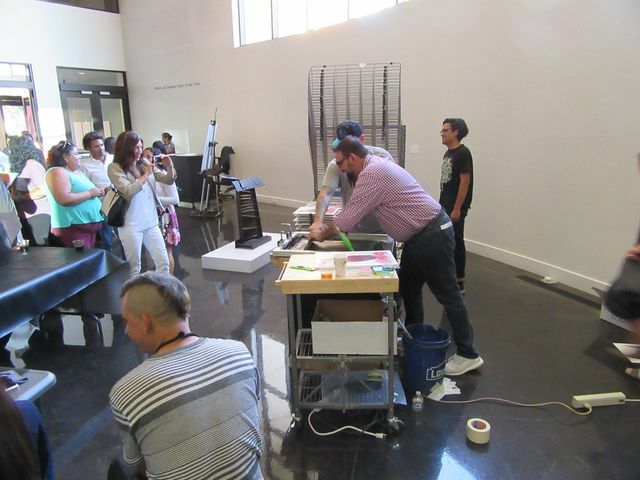 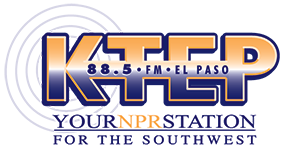 Great event at the El Paso Museum of Art, with live printing by Proper Printshop, during Last Thursday, June 29, 2017. 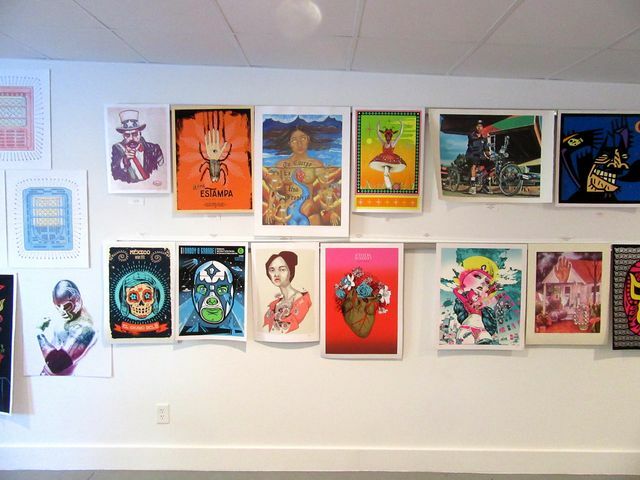 Proper Printshop was live printing an image by Atenas JFC, of the Jellyfish Colectivo. Also, congratulations to the new director of the El Paso Museum of Art -- Victoria Ramirez -- who was also at the event. 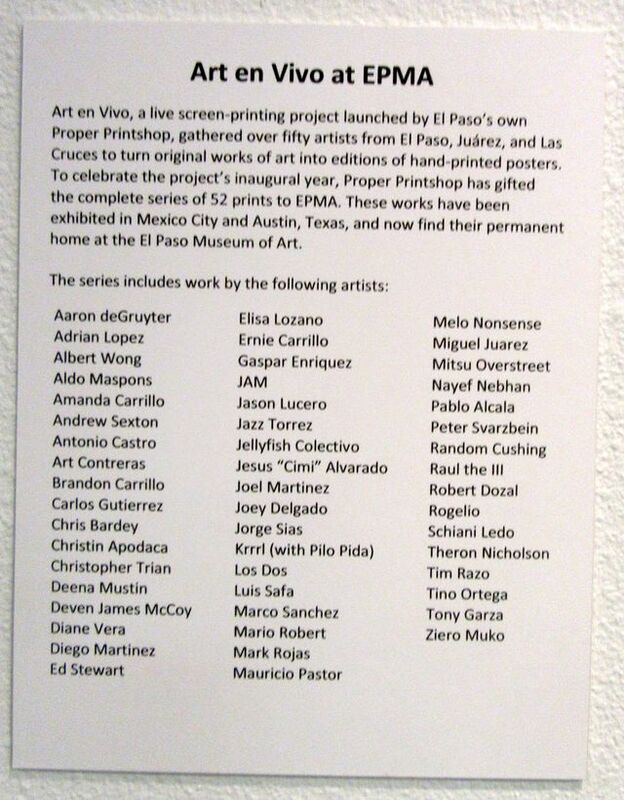 Los Dos from the Desert Triangle Print Carpeta, will be showing at the Rubin Center Art Gallery on the campus of the University of Texas at El Paso -- "Pásele, Pásele" -- opening Thursday, June 29, 2017, 5- 7:30 pm. 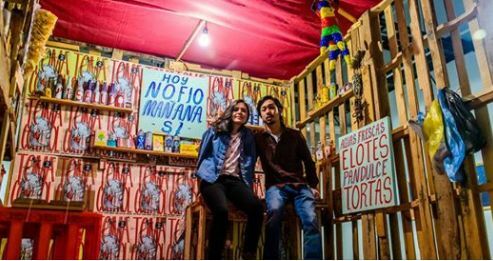 "Pásele, Pásele presents the work of husband and wife duo Christian and Ramon Cardenas who together form the artist collaborative Lxs Dos." 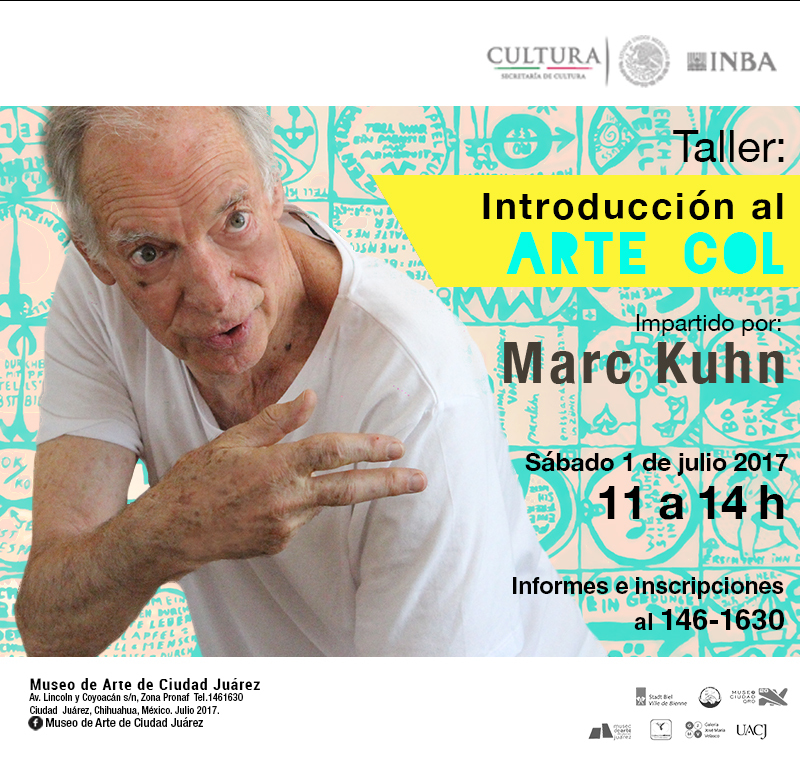 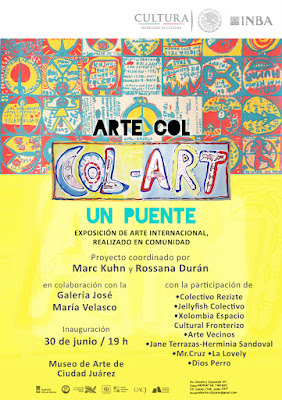 Both Ciudad Juarez artists in the Desert Triangle Print Carpeta -- Jellyfish and Yorch --participated in a greater collaborative art piece with Swiss artist Marc Kuhn. This piece was shown at the Museo de Arte de Ciudad Juarez at an opening on Friday, June 30, 2017, along with collaborative art pieces done in Tepito and La Esmeralda, among other places in Mexico. 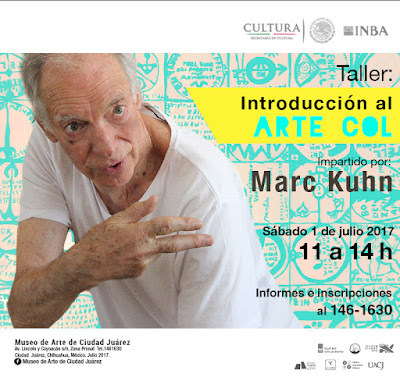 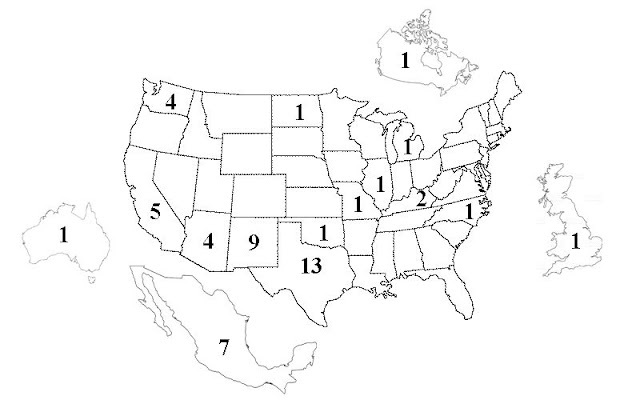 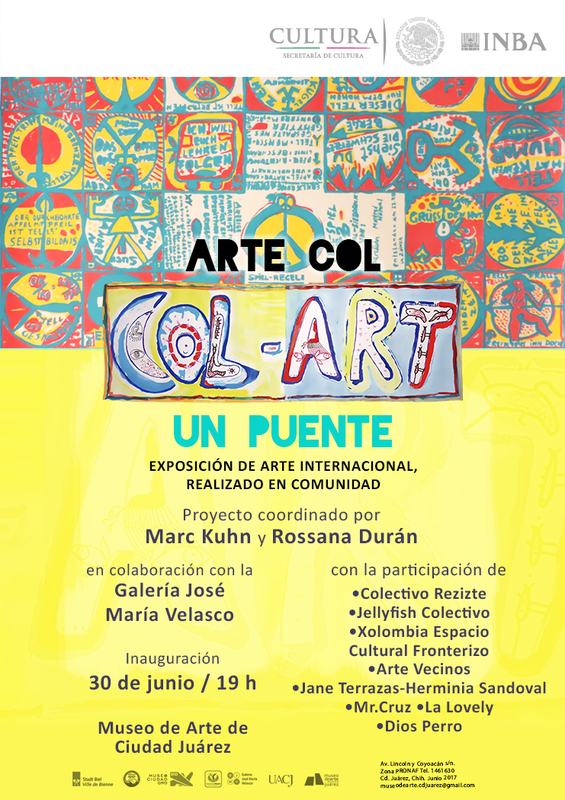 This project -- "Col Art" -- has been going on all over the world since 1968. 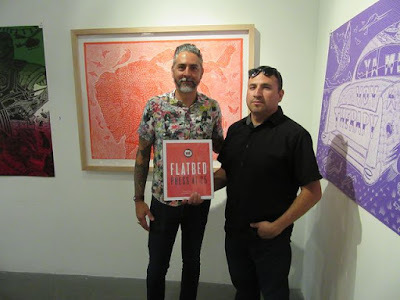 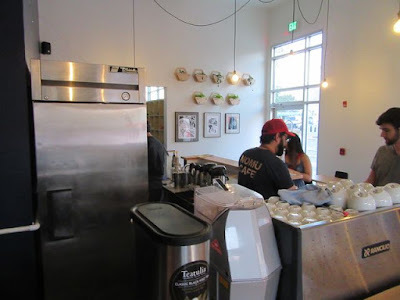 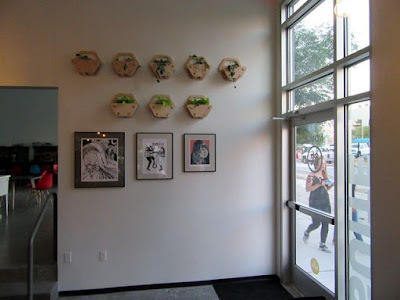 The previous Thursday (June 22), Art Avenue had a book signing event for Flatbed Press, the big print shop and print publishers of Austin, Texas. 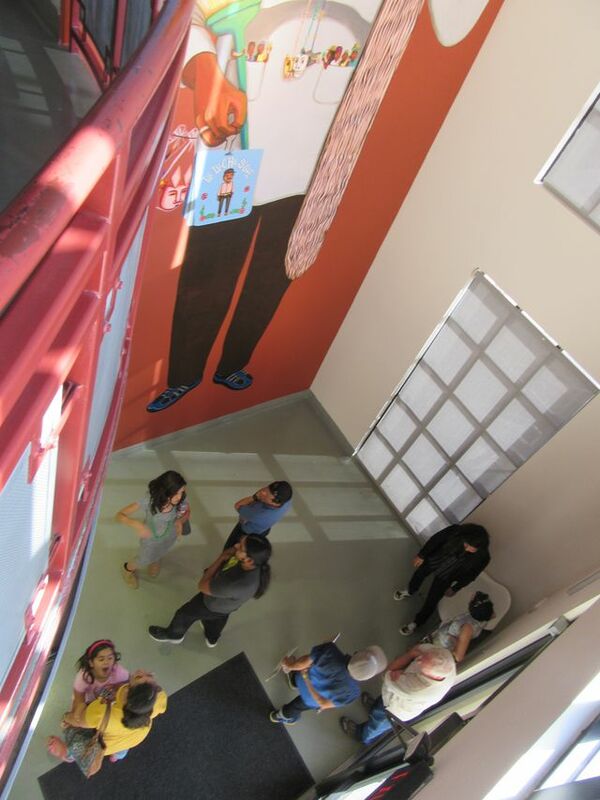 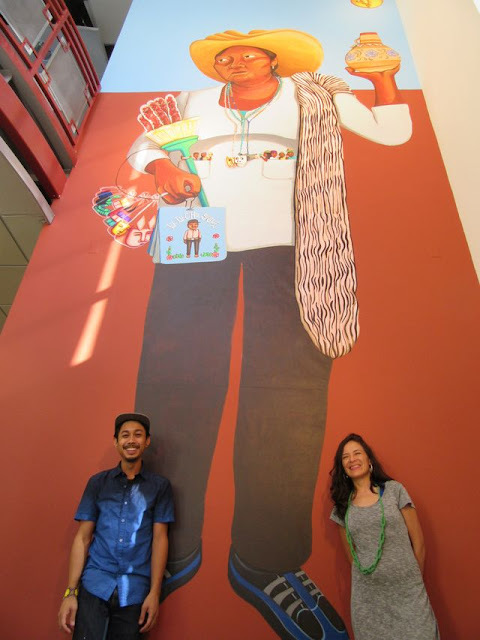 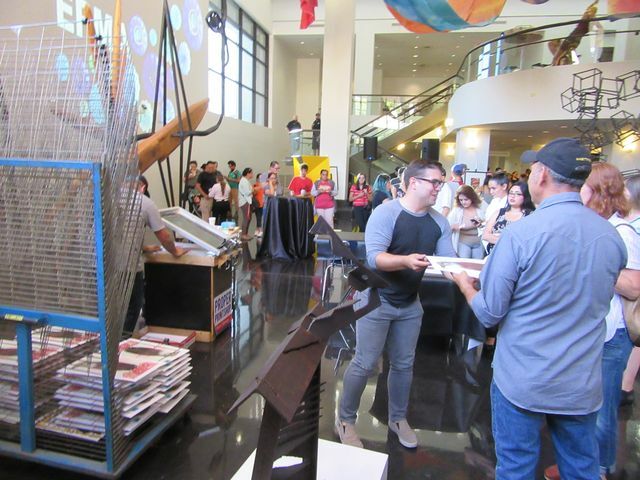 They were highlighting artists with El Paso connections that had printed at Flatbed -- Luis Jimenez, Alice Leora Briggs, Ricky Armendariz, Celia Muñoz , and Suzi Davidoff. 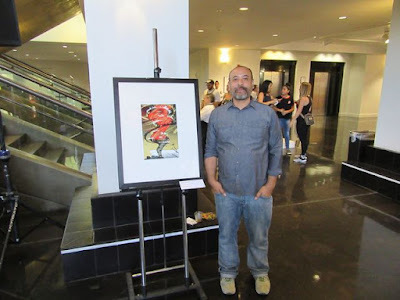 Francisco Delgado,of the Desert Triangle Carpeta, recently made lithograph prints at Flatbed Press in Austin, but after the book was published. May we continue to send El Paso artists to do fine art prints at Flatbed Press, because El Paso has talent! 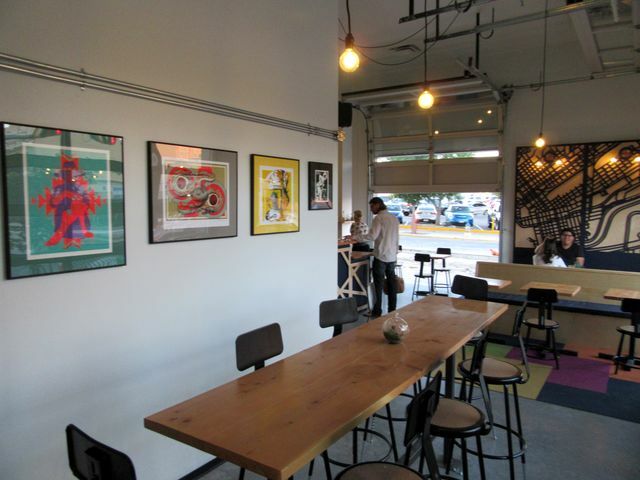 We hung some of the prints from the El Paso and Albuquerque print exhibitions, at the Nomu Cafe, adjacent to FabLab El Paso, in the Artspace building. 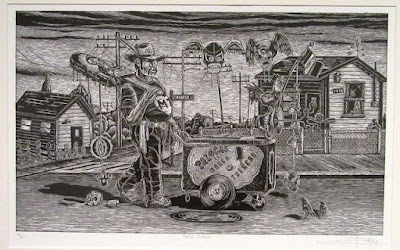 We showed a print by Juan de Dios Mora, of San Antonio, in our recent exhibitions in El Paso and Albuquerque. 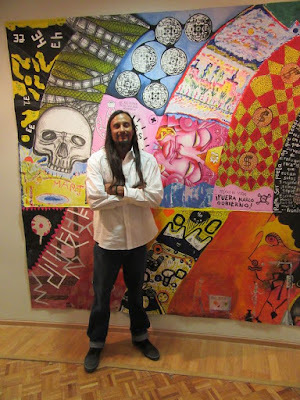 He has a solo show at the McNay Art Museum in San Antonio -- Culture Clash -- running from June 8 - August 13, 20, 2017. 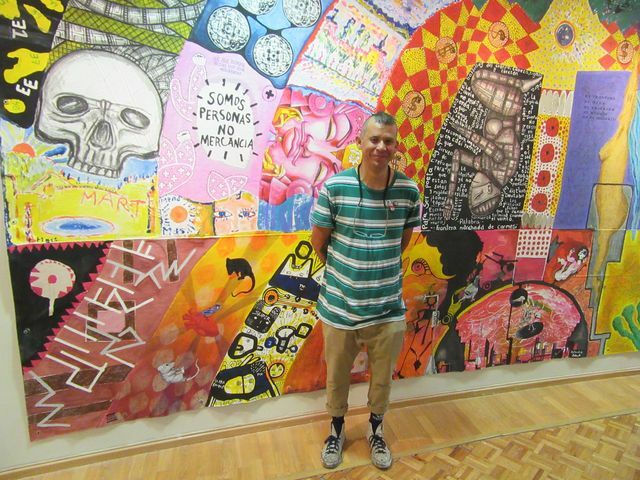 Glasstire gave a good review of the exhibition. While in San Antonio, I visited Harvey Mireles of La Printeria, a serigraph and printmaking studio. 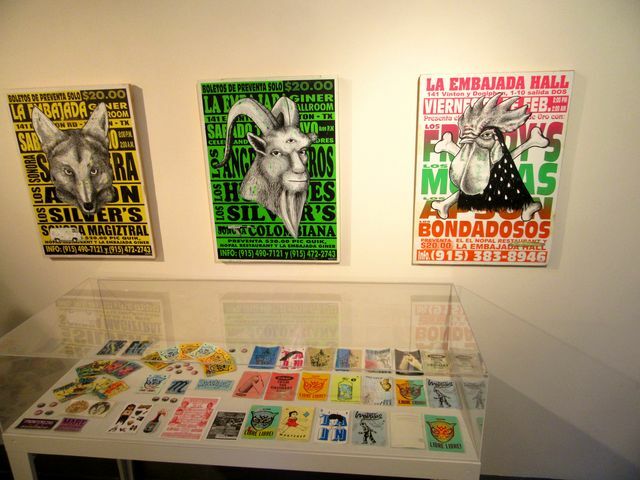 He has been working with Arturo Negrete of Taller 75 Grados in Mexico City. 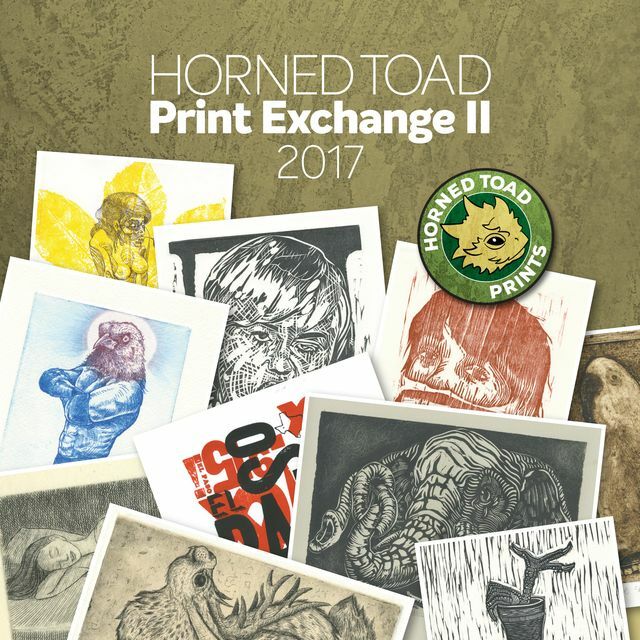 Meanwhile all 53 prints have arrived for the second Horned Toad Print Exchange, organized by Manuel Guerra of the Desert Triangle Print Carpeta. 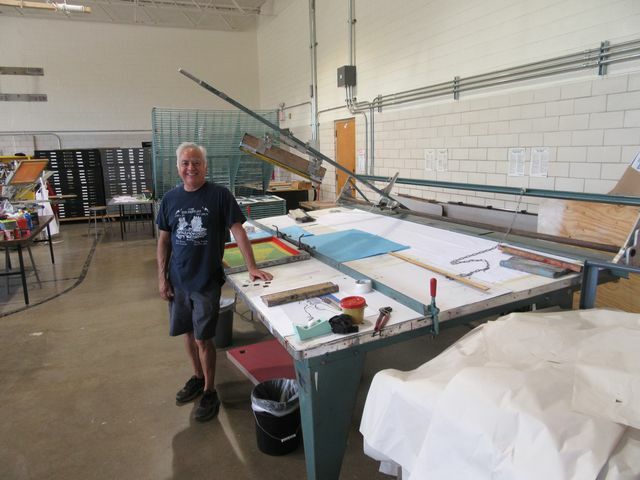 He is in the process of making a catalog of the prints, and setting up future print shows. 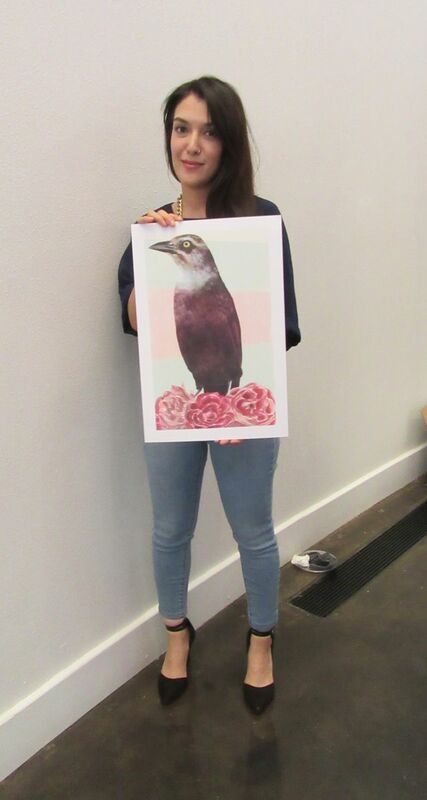 The print fever marches on! 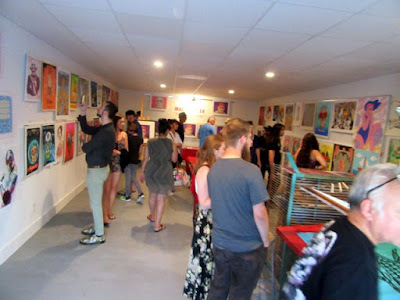 The prints can be seen on the Riot Station website.